A contemporary show of faith! This Star of David pendant is modern and chic. 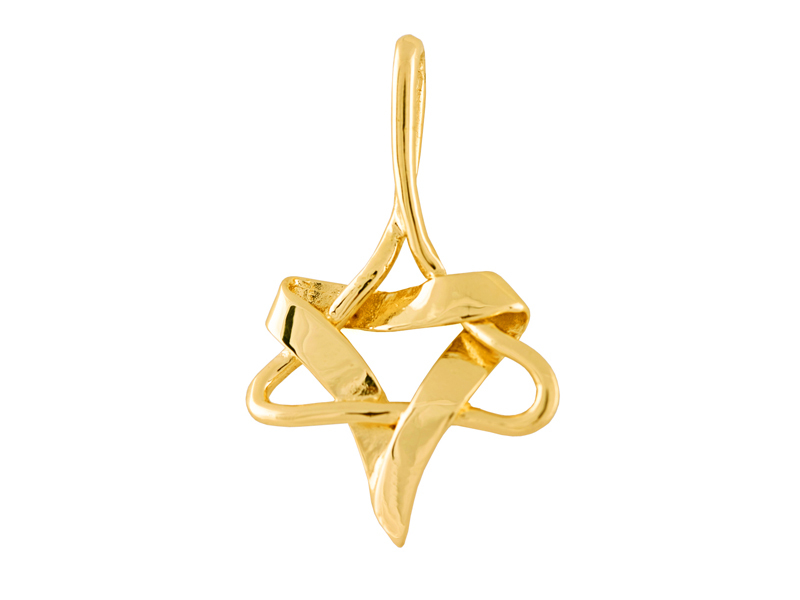 Made of 14k gold, it features two triangles made of thick and thin rope of gold placed together to form a star of David. A perfect gift item! Pendant is available in both yellow and white gold.